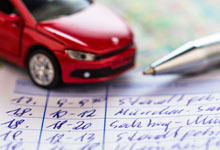 Your Tax Deadlines for July, and Keep Your Car Allowance Logbook Up To Date! 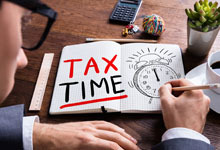 SARS has brought the deadline for these taxpayers forward by three weeks. 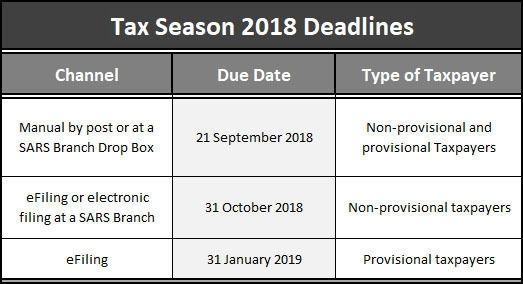 Thus taxpayers who either use eFiling or submit electronically at a SARS Branch must send in their returns by close of business on 31 October. This is significant as it affects the bulk of taxpayers. Make sure your staff members are aware of this date as there will be penalties and interest on late returns. SARS has communicated with those 2017 taxpayers who unnecessarily submitted returns, urging them to only submit a return if they fall within SARS’ requirements. If this is successful, 25% less tax returns will be submitted. In the last decade we have witnessed the slow death of the cheque. Today we have Bitcoin, payment apps and increasing use of the Internet and credit cards, so the question arises is cash also going to disappear? If so, it will have enormous implications for us. Cash is incredibly expensive and costs between 5 and 15% of revenue. This is when you factor in the cost of ATMs, cashiers, the cost of bank branches (in Sweden only 5% of branches handle cash), security transit vans, the time taken to deposit cash and high bank charges. The Bank of America says that 10% of its cost base is due to managing cash. Robbery and crime fall when there is less money about. It reduces organised crime and terrorism. In Europe the 500 Euro note is being phased out after it was discovered that the terrorists who killed 89 people in Paris in 2015 used high denomination notes to fund the attack. Tax revenues, particularly indirect revenues like VAT show marked increases. VAT collections have improved 30% over the last five years in Sweden. Contrary to conventional wisdom, cash now accounts for 9.6% of global GDP, up from 8.1% in 2011. The number of people in the UK who rely on cash has risen from 500,000 to 2. 7 million and in the past decade in the U.S.A., money in the economy has grown 50% relative to GDP. So why is money still so prevalent? The low interest rate environment has encouraged people to keep money rather than put it in the bank. Globally the informal economy is growing and cash is the medium of exchange in this sector. The global financial meltdown of 2008/2009 resulted in more people losing faith in banks. The use of credit cards and other electronic payments has seen the level of consumer indebtedness grow. In fact, there is a very close correlation in countries embracing cashless societies and the growth in consumer debt. In a recent study, McDonalds put electronic devices in stores where consumers could order and pay online. Their sales in these stores rose by 30%. 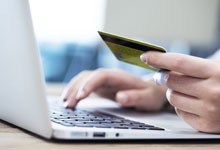 The number of Internet scams has pushed people towards hoarding cash. Crime statistics have in fact not gone down as was claimed above. In fact, where criminals can’t rob people of cash they go after the more vulnerable citizens such as the elderly. In the current world of cynicism and mistrust, banks are regarded as part of the system supporting the wealthy top 1% which encourages people to move away from banks. The recent incidents of state hacking (e.g. Russia meddling in the US 2016 elections) have given those in favour of a cashless economy doubts. Potentially, hacking could cause the financial infrastructure to collapse in which case it is prudent to still have cash in the economy. The debate swirls on and on but it is probably safe to say that cash will be around for a long time, particularly in a developing country like South Africa. Last year the databases of several large estate agencies were hacked into and over 60 million records of personal information including IDs were exposed. New hacks are reported with depressing regularity, so this is clearly a growing phenomenon - not just in South Africa but globally. Troy Hunter is a globally acknowledged cyber security guru who picked up this breach. His website will tell you if you have been hacked – during this or any of the many other global hacks over the years - and if so when. Check it out on the “Have I Been Pwned?” website. Enter all of your email addresses and you may be unpleasantly surprised by the results. 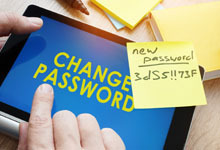 Check all your passwords. If your password for ViewFines.co.za (or any other hacked website) has been used for other accounts, then you are at risk. Troy Hunter also offers an excellent service in terms of password protection. Have a look here. The Protection of Personal Information Act (POPI) will help South Africans in terms of helping secure our private data, but only when it becomes effective. There are no major deadlines this month. Just a reminder for those on a car allowance to keep comprehensive logbooks as per SARS requirements of all your business trips. Without proof of your business travel, SARS will deny your travel claim. 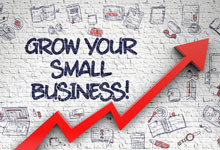 There are stories that SARS will be tightening up on logbooks and may require more detailed business trip information, so ask your accountant to inform you if there are changes.